BUDAPEST, May 30, 2010 (AFP) - Germany coach Joachim Loew admits he faces some 'brutal' decisions in the next few days as he looks to cut two players for his World Cup squad in the wake of his side's 3-0 friendly win over Hungary. Germany warmed up for South Africa with a convincing win over the hosts at the Ferenc Puskas Stadium on Saturday with a Lukas Podolski penalty and second-half goals by substitutes Mario Gomez and Brazilian-born Cacau. Loew will sit down with his coaching team to decide which two players will not be travelling to South Africa with the final 23-man squad set to be announced on Tuesday. 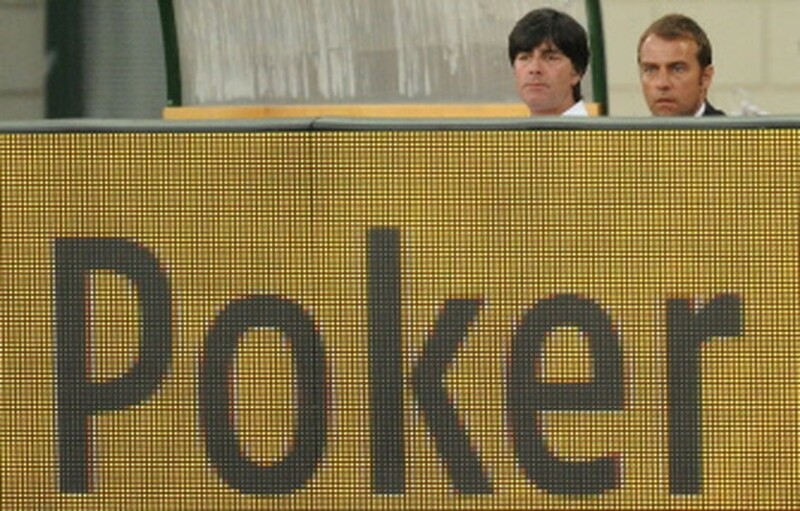 "There will be lots of speculation in the next few days," said Loew. "The coaches will sit down together on Sunday and Monday with the coaching staff and announce the squad on Tuesday. "Of course, it will hurt for the players concerned, but unfortunately we can only take 23." Midfielder Marko Marin, Cacau and striker Gomez all impressed, while Hamburg midfielder Marcell Jansen made his first appearance since suffering an ankle injury in January. Bayern Munich defender Holger Badstuber came off the bench to make his debut, in the second-half, but Loew knows two of his players will soon be suffering World Cup heartbreak without even boarding the plane to South Africa. "I haven't yet got the two players in my head who won't be going," he admitted. "The decision will be brutal, not only for the players, but also for the coaches." Germany begin their World Cup campaign in Group D on June 13 against Australia and fly to South Africa on June 7 after their final warm-up game against Bosnia-Herzegovina next Thursday. With Germany captain Michael Ballack injured and out of next month's World Cup, Bayern Munich striker Miroslav Klose took over the skipper's armband. Having played in last weekend's Champions League final defeat, Bayern Munich stars Bastian Schweinsteiger and Germany's new World Cup captain Philipp Lahm were both rested. Ballack's replacement alongside Schweinsteiger in the first-choice line-up is likely to be Stuttgart's Sami Khedira and although he limped off in the second-off, the 22-year-old said there was no problem. "In the first half, we played well and created a lot of chances," said Khedira. "I myself have felt some pain, but I walked off at half-time." Germany were rarely troubled by the Hungarians and are sure to face much tougher tests in Group D against Ghana, Australia and Serbia in South Africa. "The Hungarians didn't have many chances," said goalkeeper Manuel Neuer. "But on the other hand, it was good that we crated a few goals of our own."